Even after the doors close, the Hall stays alive. Bring your sleeping bag and explore every yard with our special overnight experience. 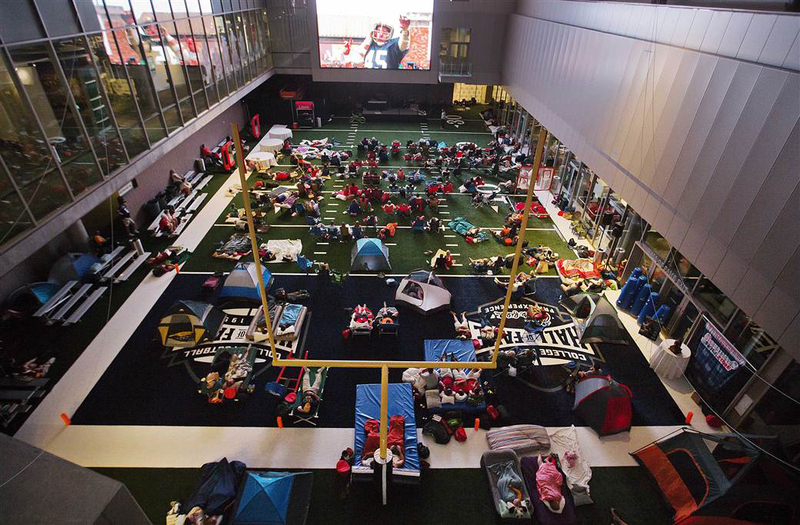 The evening includes after-hours access to the Hall, movies on our indoor playing field, snacks, breakfast in the morning, and of course, a truly unforgettable sleepover at the College Football Hall of Fame. Your request to book a group will be sent to a Hall of Fame representative and will be reviewed. We will follow up with you to schedule your group!